Dragon, a Monster Truck. Photos Courtesy © 2018 Feld Entertainment, Inc.
BIG truck enthusiasts or those looking for mega-big, super-charged and roaring entertainment will be psyched to attend the Monster Jam Triple Threat Series, where each truck is just as much a player as its driver, held Jan. 25-27, at NYCB Live’s Nassau Veterans Memorial Coliseum. 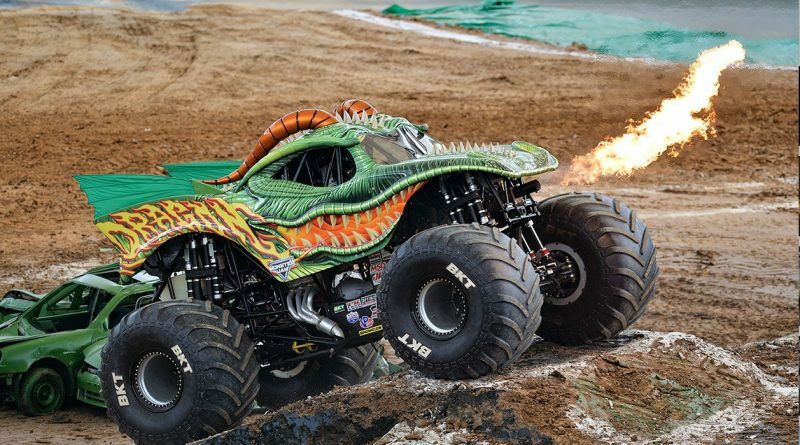 Known for its revving engines and intricately-designed trucks, this family-friendly, motorsport features both male and female drivers who battle it out on the indoor dirt tracks. 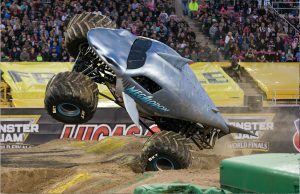 The drivers perform freestyle, donuts and wheelies, as well as race one another – in trucks with names like Black Stallion, EarthShaker and Megalodon. Tickets can be purchased by calling 1-800-745-3000, or visiting nycblive.com.